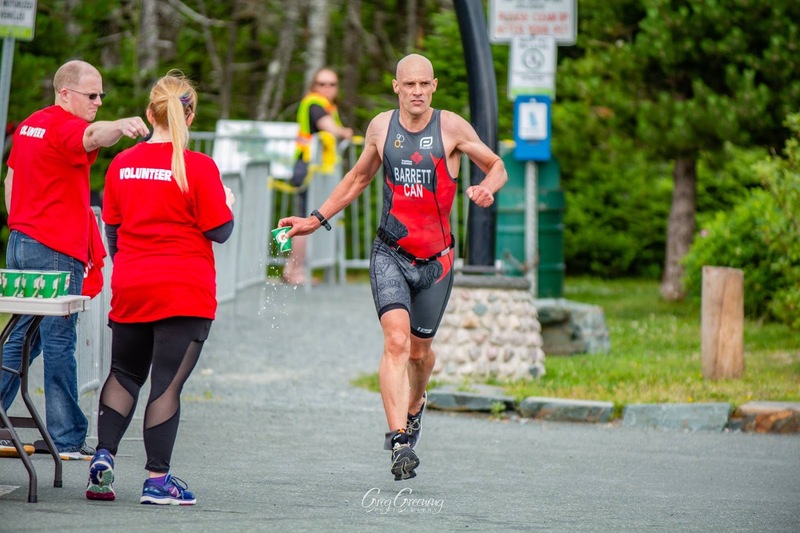 In perhaps the best conditions for the race in its history, the Capital Subaru St. John's Triathlon took place Sunday morning at the Sunshine Camp with some 111 participants. Tyler Cole was 1st in the Olympic Distance (1.5k swim / 46k bike / 10k run) in 2 hours 18 minutes 11 seconds, followed by Carl Barrett in 2:22:14 and Will Duggan in 2:22:31. 1st place female was Steph Nevin in 2:38:18 followed by Katherine MacBay in 2:50:04 and Julianna Marshall in 3:01:50. In the Sprint Distance (750m swim / 23k bike / 5k run) it was Todd Puddicome for the win in 1:19:30 followed by Heidi Perry in 1:22:07 and Chuck Pardy in 1:27:42. 3rd place male was Matthew Pike in 1:27:58. As noted Heidi Perry was 2nd overall and the winner of the female race in 1:22:07, followed by Joanne Budgell in 1:30:27 and Alison Jones in 1:31:12. Thanks again to Greg Greening for spending the morning on the course and capturing THESE FANTASTIC PHOTOS!